In Tara Barsei, or Burzenland as its Saxon name goes, natural and man-made beauties combined to make up a tranquil, harmonious landscape of intense beauty. Located in the heart of Romania, in the protective embrace formed by the curving range of the Carpathians, Tara Barsei offers old churches, imposing castles, and beautiful natural areas. Let’s take a look at the best destinations in Tara Barsei. The village of Bran appeared and developed in the shadow of the castle of the same name, built in the 13th century to defend the strategic area from the attacks of Mongols. Located about 30 kilometers from Brasov, the castle is a stunning, though somehow grim monument of medieval architecture. Mostly for commercial reasons, the Bran castle is often associated with the legend of Dracula, though there is little historical evidence to support the legend. Inside, the Bran Castle has been finely restored, and decorated with many original decorations, furniture, weaponry and other medieval artifacts..
Codlea is a small town near Brasov built around an early 13th century fortress called the Black Citadel. The citadel, of which only the foundations of the walls remain, was erected by the Teutonic Kinghts, and was repeatedly destroyed and rebuilt over the centuries. Another landmark of Codlea is the Fortified Evangelical Church, featuring two massive defensive towers and hosting the oldest organ in Transylvania, a masterpiece built by Master Prause in 1783. Nature lovers will be happy to hear about the “Mountain Delta” near Codlea, a 400 hectare stretch of wetlands that is home to many bird species. Harman is a village located just 10 kilometers from Brasov, in an area believed to have been first settled by Teutonic Knights in the 12th century. The village’s claim to fame is its fortified church, built in the 13th century and exhibiting a combination of architectural styles, the result of repeated restorations and rebuilds. 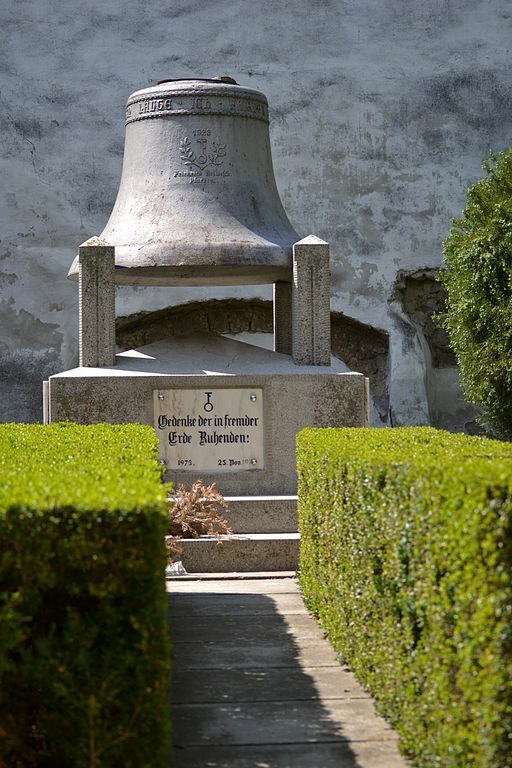 The Gothic bell tower of the Harman church is the tallest in Tara Barsei, at 32 meters. 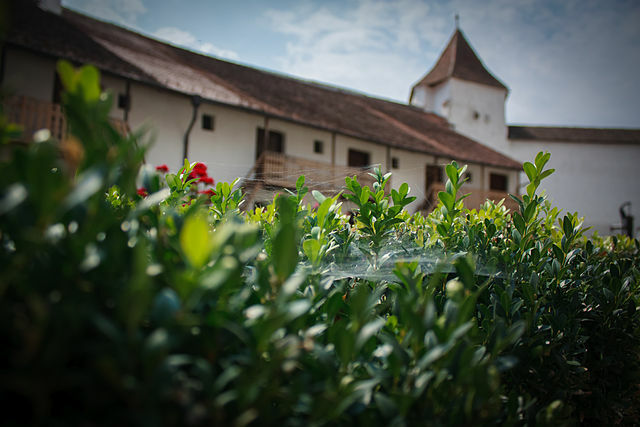 While there’s little else to see in Harman besides the church, its proximity to Brasov makes it a good option for those looking for a tranquil setting to lodge. The Piatra Craiului National Park is a hotspot for mountain climbers and hikers thanks to its rugged karst relief scarred with deep ravines and many caves. The Prapastia Zarnestilor ravine is a popular place for rock climbing, though there are many other smaller gorges throughout the 14,700 hectare park. Almost 30 percent of all plant species present in Romania can be found in the Piatra Craiului area, as well as 40 percent of all species of mammals in the country. Tourists looking for accommodation can stay in Bran, Rucar, Zarnesti, and other neighboring villages. One of the best Tara Barsei destinations, Poiana Brasov is a mountain resort that is officially a part of the city of Brasov. Located at an altitude of about 1030 meters on the Postavaru Massif, the resort can be accessed in about 20 minutes by car or by bus. During wintertime, tens of thousands of tourists descend upon Poiana Brasov to try out their skiing skills on the resort’s twelve ski runs of various difficulties. The 4600 meters Drumul Rosu ski run is the longest in Romania. 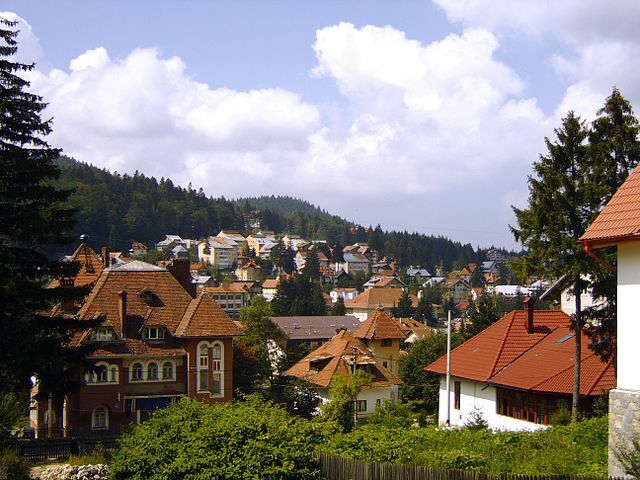 But Poiana Brasov is fun to visit in the summer as well – the area around it is well marked and hiking routes lead tourists to the three nature reserves found nearby. 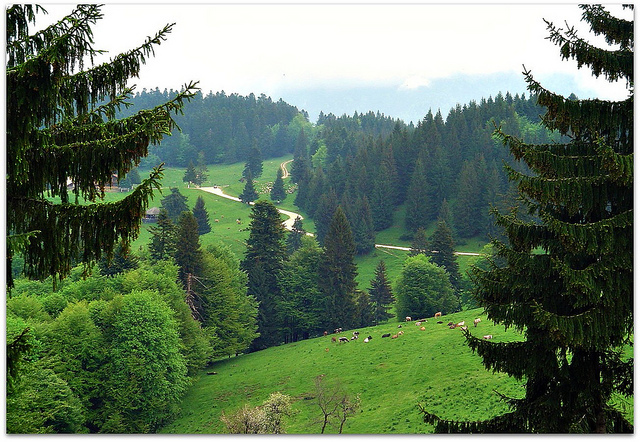 At over 1000 meters, Predeal is the town located at the highest altitude in Romania. This posh mountain town is located about 25 kilometers from Brasov and is one of the best destinations for winter sports and mountaineering in Romania. Skiers and snowboarders should know that the ski runs in Predeal are more challenging than those in Predeal, with the Clabucet and Subtelescaun runs being considered the most difficult. Regardless of the season, the renting centers in Predeal offer equipment for hiking, climbing, biking, skiing and snowboarding. The 13 marked trails around Predeal await adventurers all year round. An old Saxon village located about 20 minutes of driving from Brasov, Prejmer is known internationally for its fortified church, which is the largest in Transylvania and the most impressive from an architectural perspective. The church was protected by a massive twelve meter high wall, a moat (now filled up), and another four meter exterior wall, with a drawbridge to allow access. In peace time, locals used the 272 small cells built around the walls for storage, and each family had its own cell that was passed on from one generation to another. In Prejmer, you can also admire the only fully painted Orthodox church in Tara Barsei, built in 1760. Rasnov, located 18 kilometers from Brasov, boasts the finest peasant citadel in Tara Barsei, which locals built to protect themselves from the attacks of invaders starting with the 14th century. Legend has it that the 146 meters deep inside the citadel was dug by Turkish prisoners who were granted freedom after they toiled on the fountain for 17 years. A medieval history museum now functions inside the citadel, which exhibits many interesting artifacts from the Middle Ages. Set in a scenic area, Rasnov is an attraction for adrenaline junkies, thanks to the bungee jumping installation in the Rasnoavei Gorge, which is the highest in Europe at 135 meters. A sleepy village on the outskirts of Brasov, Sanpetru is known for its fortified church built in the 13th century, which proudly displays the village’s coat of arms. The lush green rolling hills around Sanpetru, and the Lempes Hill in particular, attract para-gliders and hang-gliders. Lempes Hill, which is also known as Citadel Hill, is also a popular place for picnics and promenades. 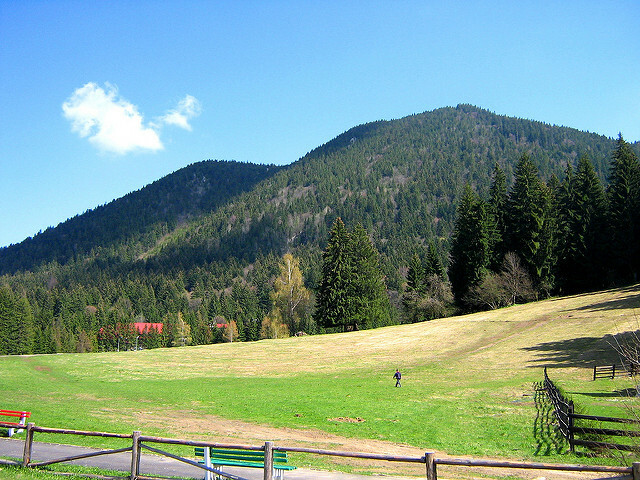 The botanical reserve on the hill was established to protect several rare species that thrive in the climacteric conditions of the Brasov Depression. Brasov is one of Romania’s largest city and the economic and cultural center of the Tara Barsei region. With its many historic monuments, landmark buildings, and other attractions, Brasov is probably the most important touristic destination of the country. The city also makes a great starting point for exploring Tara Barsei, with most destinations that we listed above being easily accessible for day trips. 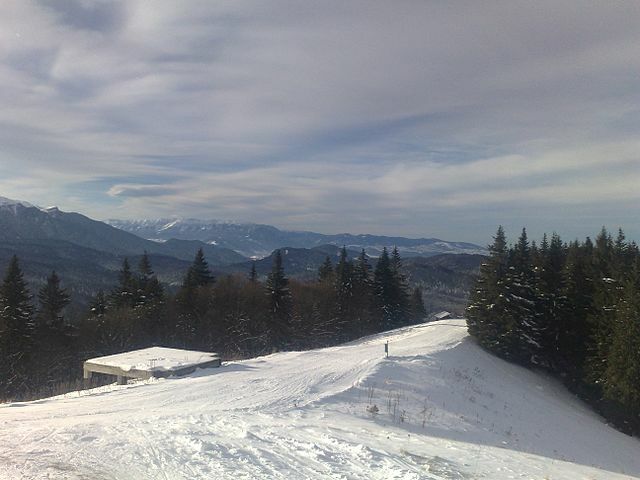 In wintertime, Brasov and the resorts around it turn into a veritable mecca for tourists and winter sports enthusiasts.